Khu.éex is a unique musical experience that merges Native American cultural elements with funk and jazz. Renowned Seattle glass blowing artist Preston Singletary, who is also the bass player, has been the catalyst for coordinating this incredible group’s journey through experimentation, creation, loss and rebirth. 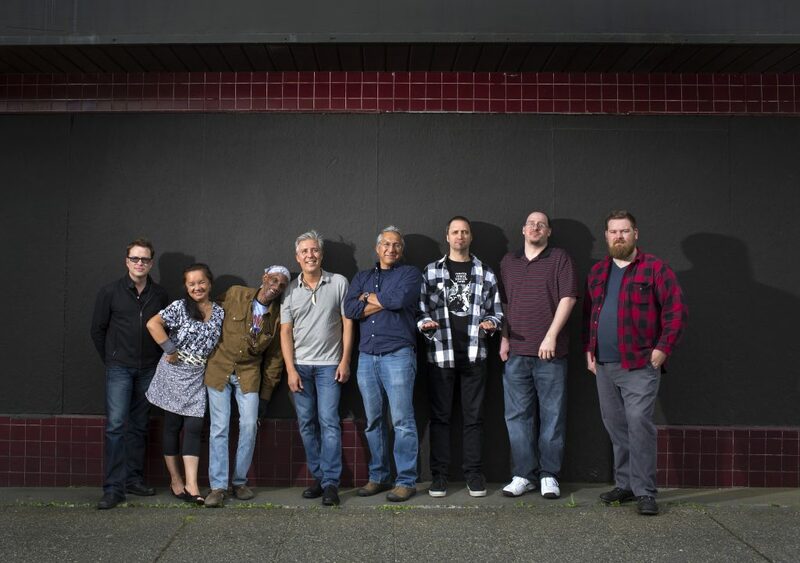 It features luminaries who have now passed on such as the late Bernie Worrell and Clarissa Rizal along with talented collaborators currently shaping the path of music such as Skerik and Stanton Moore. In production (2019 release) — our documentary will combine exclusive concert footage and insightful interviews into a visually engaging experience that won’t soon be forgotten. We are currently fundraising for finishing this exciting project and bringing it to a wide audience. Please click on the link below to visit our PayPal site and make a donation. We really appreciate your support!